This one’s a bit different, folks. I hope you’re excited. There are 2 Mafiosi, and the rest of the players are vanilla town. One of the Mafiosi is the Godfather who decides the night-kill target. If the Godfather dies then the other Mafioso becomes the Godfather. The game is in a superposition of scenarios. In each scenario, every player is Town, Mafioso, or Godfather, and every player is either alive or dead. In the beginning of the game, there is one scenario for every distribution of roles. All players start out alive in all scenarios. Players will not receive a specific role at the beginning - everyone starts on exactly the same footing. Each player action will affect every scenario in which they are legal actions. When player’s action makes a scenario impossible, that scenario is eliminated. The rest of the day is just like a normal mafia game, with discussions and a hanging at the end. Everyone who is more than 0% alive can participate in the discussion and has exactly one vote. When a player is lynched, they become 0% alive, and their role is immediately fixed and revealed using a random number generator according to their current good/evil probability. If the player is X% good, then after the lynch the player has an X% chance as being resolved as good, and (1-X)% chance as being resolved as scum. Every scenario where this player has a different role is eliminated. Also, the lynched player cannot have been dead prior to the lynch, so every scenario in which the lynched player has already died is eliminated. In particular this means that as soon as Player X is voted off, all players that previously attacked Player X can no longer have been the Godfather on the night they made the attack. Every player who is not 100% good or 0% alive must send in a target to kill every night. In every scenario, the Godfather’s kill succeeds while all other player’s kills are ignored. If the Godfather’s target either is already dead or is a member of the mafia in a particular scenario, the scenario is eliminated. Don’t worry if it seems complicated. No one is too dumb to sign up! Please PM both mods a secret codename of your choice when you sign up. Arg. I'm too lazy busy for game theory, and too not knowing how the heck Quantum will play out. Someone save me! Last edited by t1mm01994 on Sat Aug 04, 2012 2:31 pm UTC, edited 1 time in total. Sailor Moon. Sign-ups have been running for 18 days. 5/24 sign-ups. Quantum. 11/11 sign-ups. 0 replacements though. So excited for this game to start! Nothing in the Vanilla queue. The Olympics. 6/? sign-ups where ? is preferably an even number. In this small town, all the attention's centered around two set of twins: one of each is evil. They're teaming up to destroy the town. Will they succeed? Set-up: Open. Info can be found here. Starts as soon as sign-ups are filled. Welcome to London 2012, where the best of the best of the best of everything are assembled to show off their bestness. You in this room are the world’s foremost decision theory athletes. Are you better than everyone else? This is your chance to prove it. You will be asked an impossible question. They are asked the same question. Your job is to outguess them. Only one person will be...[dramatic pause]...the very best. Unlike a certain game of not-mafia, this is not a game of mafia. Don’t worry about playing too many games at once, because this one is basically just asking for one action per round. Players: The more the merrier. Preferably an even number. Replacements: None. It would kind of defeat the purpose. Instead of signing up as a replacement, just sign up as a player! Never played mafia before, lurked here for a few months*. What would be a good game to be the first lynchee in start with, Twin Trap? Also, Game Theory Olympics seems interesting. Is there a recommended intelligence level for that? Sailor Moon Mafia, part 2, has died once again. 5 players just isn't enough for it. wam, is Community mafia going to have spoilers? I'm currently part-way through Season 2 and loving it! roband wrote: wam, is Community mafia going to have spoilers? I'm currently part-way through Season 2 and loving it! There will be no major spoilers in it. I will double check where I have sourced some flavour from to confirm this. I will also put it in signups at some point tomorrow, I think its ready to go. I think I'll leave this in signups another day or two just in case there are any more prisoner's dilemma type people who didn't sign up over the weekend. Odd numbers work too, so don't let that stop you. 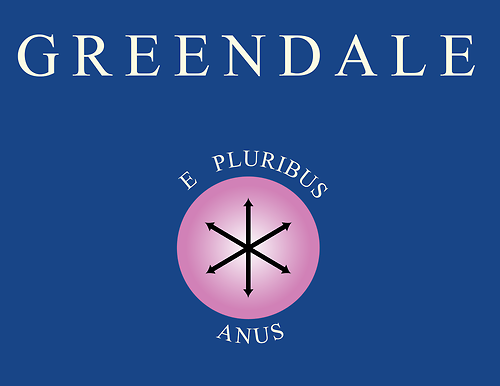 You all know something is wrong at greendale lets get together and fix it. General info: This will be a game with reasonably simple mechanics but every role will have a power. As for spoilers some players win conditioins and actions are linked to what could be considered spoilers, however, there should be no major plot spoilers given by the mod. If players are giving flavour knowledge they should be careful if requested. However, the mod accepts no liability for what may or may not be a spoiler! Flavour knowledege is not required, all required flavour can be found at the following two wikipedia links. Speed: Day 1 will last 10 days further game weeks will last 7 days. I will try and line up nights with weekends as Im normally not around at weekends. Schedule: The game will start next week sometime and should be finished within one month. I preferred your first one! wam wrote: I preferred your first one! Last edited by Snark on Tue Aug 07, 2012 3:38 pm UTC, edited 1 time in total. Does someone know how to fix the flag?